51 East Liberty St unit 601, Toronto. 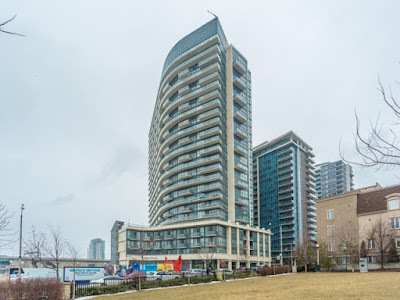 Fabulous Condo In Vibrant Liberty Village Downtown Location. Just Steps To All Amenities & Ttc. Great Unit With 570Sq Ft Of Living Space + 84 Sq Ft Balcony With Good View. Features Include 9Ft Ceilings, Upgraded European Style Kitchen With Mosaic Backsplash,Granite Counters & Stainless Steel Appliances, Laminate Floors Throughout, 2 Baths With Upgraded Granite Counters & Tiles,Stand Up Glass Shower, Good Size Balcony With Nice Southwest Exposure. Designer Hood Range In Kitchen & Mirrored Closet Doors In Unit.Great Building! Excellent Facilities Incl. Gym,Steam Room,Yoga Studio,Party/Game Room,Guest Suites,Concierge Desk, Outdoor Lounge.Rented Parking Spot Prepaid Until End Of Year. - See more at www.iListTorontoHomes.com.